Perhaps you live north by Sunset Park, easy by Dyker Heights, the Narrows or Belt Park on the west, or by the Verrazano Bridge on the south. Either way, if you live in Bay Ridge, Brooklyn and are considering updating the exterior siding on your home, then you should consider choosing James Hardie Products. Good Guys Contracting is the number one James Hardie installer in the Brooklyn region especially in the Bay Ridge area including those who live in Fort Hamilton. As the residents of Bay Ridge continue to remodel their homes after the devastating effects of the tornado in 2007, homeowners, apartment owners, and landlord are looking for a way to increase their property values. One way to do this is by choosing to install James Hardie products. 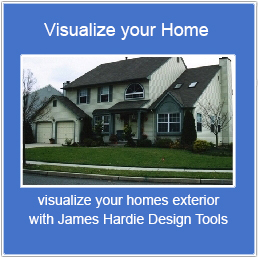 James Hardie engineers build their products to withstand fluctuations in climate. It’s also fire resistant and their ColorPlus Technology is designed to withstand UV rays and other harsh weather conditions such as hurricanes and blizzards which are great for those living in Brooklyn, NY. Give us a call at Good Guys Contracting and schedule a meeting. We will come to your residence in Bay Ridge, Brooklyn, and help you select the best products on the market. We then provide you with a FREE estimate based on the scope of your project to help you get started on your home remodeling dream. With over 20 years of experience, we have installed more James Hardie siding products than any other company on Long Island, and we are rapidly increasing the amount of installation in Kings County! If you would like any more information or to request a FREE quote, don’t wait to contact Good Guys Contracting today!